Use the side bar to scroll. A new version of the Great Night of Stars. Under a clear sky astronomers will present their research done with ALMA observatory. After that people will have the opportunity to observe the night sky with telescopes. Inspiring Stars is an IAU100 Global Project designed to highlight, support, and promote inclusive initiatives to encourage equality of participation in research, outreach and at a professional aspect in the field of astronomy. On 19 October, the project was presented in Santiago, Chile highlighting the Chilean community’s many efforts on inclusive astronomy through the project “Astronomy for All”, a national cooperation of astronomical institutions helping to bring astronomy to everyone in an accessible way. We will explore the summer sky, from the southern hemisphere, from the amateur point of view. We will go through the constellations and their mythologies. There will also be a talk from the point of view of the indigenous Mbya Guarani people. Observations of the Sun, the Moon, open and globular clusters, nebulae and constellations. We will give a souvenir to the assistants with the list of astronomical objects observed by each one. The observation will be with and without telescope. During the event we will train people to observe the Total Solar Eclipse on July 2019, safely. In the beautiful San Martin Park, in Mendoza, the Slovenian School propose a picnic with students and all their families at the night of January 10th. 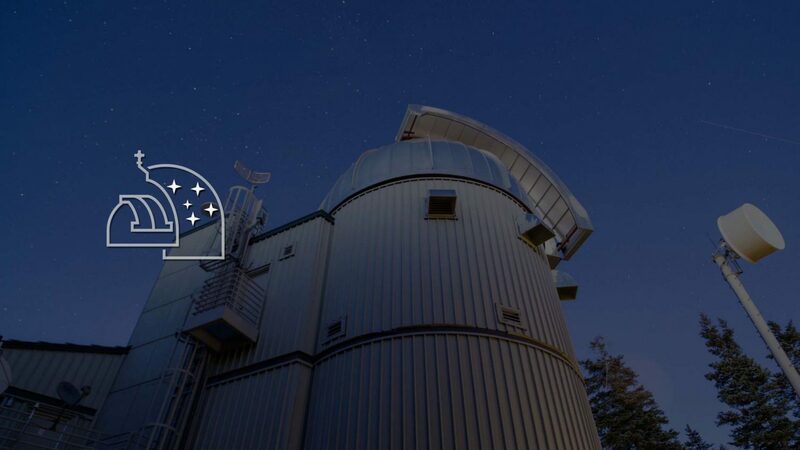 As part of the proposal, several games about identification of constellations, stars and planets will be performed. The game will use also, celestial charts and applications. Public observation with telescopes and sky recognition at a glance. Brochure distribution. Explanation about the 100 years of the International Astronomical Union and progress on the Total Eclipse of Moon the following week. Public observation with telescopes and naked eyes sky recognition. Distribution of brochures with information on the subject. Free observations through telescopes of the night sky, introducing of what we see and where we are in the cosmos. Presentación del Planetario Móvil representando el cielo nocturno del Hemisferio sur y en particular de Mendoza Conociendo la ubicación y el nombre de algunas estrellas y constelaciones visibles en distintas épocas del año. Promotion of the Total Moon Eclipse of Monday 21 which will reach its peak at 02:13 (Eclipse Medium). The observations will be made from the Astronomical Park of the CODE south side of the Astronomical Observatory, closed due to the construction works of the Planetarium. Rediscover the sky through our telescopes. Discover all the wonders that can be seen at night. The central idea is to offer to all the inhabitants of the World, the possibility of participating in a tribute to the world collaborative astronomical observation and the first human presence on the Moon. It seeks to contribute to the return of visual observation of the sky, especially for the inhabitants of urban sites. 50 one-minute videos each, explaining 50 different aspects of crewed flights and the arrival of humans to the Moon. Multimedia exhibition on the 50th anniversary of the first manned moon landing (Apollo 11). Different activities for general audiences, full dome shows, observations, itinerant planetarium activities, astronomy for inclusion, interactive museum tour, courses, conferences. To measure the power of the stars, the Astronomers use the photometer, an instrument that measures the amount of light in a given location and It permits determine the amount of energy per unit of time (the Power) from an unknown source compared to a well characterized source. Historically, there are several photometers proposed for comparing light sources. In this work we will focus on that of Robert Bunsen, a German chemist and physicist from 19th century, who invented the “oil spot” photometer. The eclipse of the Sun is an astronomical event that never ceases to amaze society as a whole when people have the opportunity of observing it. The group of people living where this eclipse will take place or the ones who can go there are considered very fortunate. To enjoy it, you only need to be in the place where it will ocurr and to have the correct protection for your eyes. Astronomers who know why and how the eclipse happens have the opportunity to teach citizens about a simple and inclusive astronomical event. The aim of this project is to trigger curiosity among citizens and that they become interested in learning more about the astronomical events that they live every day, such as the phases of the Moon, the seasons, the equinoxes and solstices, etc. For this, talks will be offered before the observation and they will explain the phenomenom and the apparent movement of the Sun, among other topics. The observation will take place in the city of Villa Cañas. The talk – informal lecture, to the open community and students of school will be held in the city of Casilda the day before the eclipse hapens. The talk to the community and students of school will be held in the city of Villa Cañás several hours before the eclipse hapens. More than 20 locations will be invited to participate. The observation of the total Moon eclipse in Argentina (since 23:00 on January 20th, to 05:00 on January 21), and especially in Mendoza, is the first of several activities along the year about the Moon, but also about IAU-100y: this event will be the real start of a celebration year. During the night, several performances will be developed. We will meet to share the observation of the Total Eclipse of Moon and the beginning of the celebration of the 100th anniversary of the UAI: Recognition of the sky, observation by telescopes, distribution of notes, explanations about the phenomenon and much more. They can bring their own telescope. A family activity, free and free. In commemoration of the 100th anniversary of the IAU, there will be an exhibition on the Astrographic Catalog project and the Carte du Ciel. The Astronomical Observatory of Cordoba, the only South American that successfully completed its part of the project, has the photographic plates, instruments, documents, etc., which will be exposed to the general public and schools, accompanied by allusive lectures. Since a total eclipse of the Sun will be visible in Argentina on July 2nd, 2019, a mass public observation event will be organised in the region it will be seen, from the west of San Juan province, Argentina. In addition, a Conference will be held on the days before the eclipse, in order to provide relevant information and generate an atmosphere of meaningful encounter among the public in general, which will include children, scientists, promoters and educators dedicated to the dissemination and teaching of Astronomy. We seek to offer an opportunity for people of different ages and professions, from different parts of the world, to have a significant encounter. Program “Galilean Nights”. Talks, courses and astronomy workshops. The National Council of Scientific Reseach (CONICET) throught the VoCar Program stablishs links between the researcers and the secondary level steacers and stdents and other possible spaces for general audiences. The activities along the year, based on Exhibitions (as in Tecnópolis), special performances (like the Feria Internacional del Libro and the Night of the Museums in CABA), education (NASE) will develop taking into account the 100y. The Playero Rojizo (Calidris canutus rufa), a 140g bird, migrates every year from Tierra del Fuego (54ºS) to northern Canada (70ºN) and back. We imagine a trip of this bird and we describe the constellations under which its long inter-hemispheric journey takes place. B95, a Calidris ringed in 1995 in Rio Grande, is known as Moonbird because it was later observed for many years in both hemispheres, having flown the equivalent of Earth-Moon distance. A Virtual Exhibition will be made available in homage to the 100 of the International Union of Astronomy, composed of more than twenty works of art by the local artist Nydia Del Barco. Each 2 years, the Pierre Auger Observatory organises an special Far of Science, with projects from students from all the country. This year the activity will be crossed by the 20 anniversary of the Observatory and the 100 Year Under One Sky. As part of the celebration of the IY of the Periodic Table of Elements, the proposal is to show the cosmological origin of the elements and using different strategies (exhibitions, conferences, workshops) to involve the community in this important topic. We plan to prepare an special “pop art” exhibition with different ways to present the Periodic Table, such us courting, cups, t-shirts, and also an special presentation with different Tables, as the Table of Game of Thrones, Pokemon, Comics, Super-heroes, Harry Potter and others. A series of public talks, in unexpected places (even in the square and the parks, but also in the train stations, the subway, the bus and the train.) It was proposed as a means to modify the proposals for public in general, based on traditional observations with telescope and conferences and talks in auditories, theaters and schools. Buenos Aires’ Planetarium Galileo Galilei invites you to observe the eclipse with powerful telescopes, music and outdoors talks. Sunday, 20th January at 22:00 hs. To wait for this great event and set to music for the occasion, we will be joined by a duet of blues and jazz formed by the guitarist and singer Juan Cuiñas and the harmonica player Nahuel Castrillon. They will be presenting different standars of these musical genres in our dome. The entry for this musical activity will be free and in order of arrival. During the first hours of Monday, January 21st, our satellite will plunge inside the enormous cone of the Earth’s shadow. And far from disappearing, it will remain bathed by an ethereal reddish – orange color. It will be a total lunar eclipse, one of the major spectacles of nature. The phenomenon will be visible to the naked eye in Argentina and in the rest of America. Undersecretary of Tourism of de the government of La Pampa invite you to observe the total eclipse of the moon with telescopes and outdoors talks. Sunday, 20th January at 22:00 hs in front of Medasur Cultural Centre. It is an event for all the public. Observation of january ’19 total eclipse of the Moon, from public squares, utilizing telescopes, binoculars, and naked eyes, taking photos and videos. There will be many publications in the Media before and after the eclipse. In relation to the eclipse of 2/7/2019 visible in Argentina, simultaneous photographs will be made in different cities, of the expeditions carried out by the Argentine National Observatory of the solar eclipses of 1912, 1914 and 1916, in which the first attempts to prove the Theory of Relativity. There will be a photographic exhibition of the expeditions carried out by the Argentine National Observatory of solar eclipses of 1912, 1914 and 1916, in which the first attempts were made to test the Theory of Relativity, training for teachers, lectures for the general public and the observation of the phenomenon. Role-Playing Games (RPGs) are games where the players play some fictional role. The event consists of small meetings to play an innovative RPG specifically designed to motivate young people to seek scientific literacy. The major scientific content of the “mission” refers to extrasolar planetary systemx. Observation of the Moon eclipsed rise on the sea. Observation by telescope. Photos and models alluding to the 50th anniversary of the arrival of man on the Moon. In relation to the eclipse of 2/7/2019 visible in Argentina, simultaneous photographs exhibitions of the expeditions carried out by the Argentine National Observatory of the solar eclipses of 1912, 1914 and 1916, in which the first attempts to prove the Theory of Relativity, will be made in different cities. Observation of the Total Solar Eclipse on July 2nd, 2019, along the totality, from San Juan to Buenos Aires. Observation of july ’19 total eclipse of the Sun (in this region only partial), from public squares, utilizing telescopes and naked eyes (filtered, all of them), taking photos and videos. There will be many publications in the Media before and after the eclipse. Filming of the eclipse, didactic material and fulldome projections. The observatory park will be opened to the general public for the observation of the eclipse. There will be exhibitions related to the theme and screenings will be made. The event will be broadcast. We are going to see the total lunar eclipse. Record all the different stages of the Lunar Eclipse of January 21, 2019, obtain images of the Eclipse, produce a film of the Astronomical phenomenon and disseminate it to the public. After the success of the first editions of WDEA I, held in Córdoba city on the occasion of the International Year of Astronomy (IYA2009) and WDEA II, 2017 in Esquel coinciding with the annular solar eclipse, we are pleased to invite you to participate in the Third Workshop on Dissemination and Education of Astronomy, WDEA III. It will take place in the city of San Juan, Argentina, on July 4th and 5th, 2019, after the total solar eclipse that will occur on July 2nd and will cross the Argentine territory from west to east. In this opportunity, and due to the central event of the week, WDEA III will be developed in association with the scientific meeting: “Towards Future Research on Space Weather Drivers” (FRESWED2019) which will be held in the city of San Juan between July 2nd and 6th, 2019. During the next Eclipse of the moon, in addition to sharing a dinner of camaraderie with the members, we will carry out a seminar on eclipses and a talk about how Buenaventura Suarez, made the book “Lunario of a century, where I study the Moon from the reductions Jesuits since 1670. Likewise, a workshop on photography and timelapse, where it will be applied to the eclipse with reasons to document the entire process, free and free to all interested public – Limited tickets. Hike in the Pequenco to observe from the top of a hill the sunset and the exit of the Moon. Stove. Live music. Oservations with Telescope. Wine tasting. Recognition of the night sky. Total Eclipse of Luna. Inspired by the Chinese sentence, a series of activities (photographic exhibition, workshops, projection of “Agora” the movie directed by A. Amenabar) will be performed at a Public Library, which remember the old Library of Alexandria where Hypatia, the first woman astronomer was also the last Librarian. There will be an astronomy talk and then observation by telescope. The activity is for all public. In the morning, children´ll built whater rockets with plastics botles and paperboard. At night, observation by telescope of globular clusters, nebulae and constellations. The observation will be with and without telescope. The event is for all the public. At night, people will observed by telescope the stars, nebulae and star clusters. The event is in the main square at 21 h for all the public. In the afternoon water rocket construction with children. At night, observation by telescope of the moon. This activity is for all the public. I will provide a summary of different stages experienced in my profession, each linked with my personal life. Starting with the decision to study Astronomy, for this, I had to move from a small town to La Plata, located a few hundred kilometers away. With only 18 years old and without comunication by cell phone or internet, as there is today. Finishing with my habitual life, with the responsibilities of a family with young childrens still and a profession. I will tell about the obstacles that I had to overcome and the acknowledgments that I received. I will also give a brief description of the research topics developed in each step “of the science stair”. The latest scientific works on high energy and online cosmology are presented, as well as presenting the blog with interesting information on educational activities, and outreach, as well as interactive material and sites of interest and astronomical information. Abstract: Milky Way, The Sun the nearest star, objetcts that we will observe in the sky. Description of the first Messier object. Practical observation. Paleontology in the Mendoza mountain. Diverse professionals conferences. Final observation. It is not suspended by bad weather, we have great plans in that case! We will perform another “thematic” star party, this time the subject will be the equinox and the exact calculation by Hypatia and the consequence of this calculus. The activity will start at the time for the equinox, 18:58, local time. Concierto de Gala de la Orquesta Estable de la Provincia de Tucumán con la proyección de imágenes astronómica. Dirigido por Carl Christensen. A multimedia talk with the argentinian aerospace engineer Pablo de León (Director of UND Human Spaceflight Laboratory Department of Space Studies, University of North Dakota, USA) about the origin and results of the Apollo space program. We have also an exhibition of memorabilia about the Apollo 11 mission. Photographic exhibition of 100y celebration, with 4 main sections: historical Argentinean attempts to prove the Theory of General Relativity and the 1919 Eclipse, Women in Astronomy, Light Pollution and International Day of Light. The exhibition will be presented following these lines, in special areas. As par of this activity, we will perform a series of conferences and round tables with the presence of Marta Rovira (first woman president of CONICET), Santiago Paolantonio (responsible of the historical photo-collection) and Cristina Mandrini, president of the National Committee os Astronomy. We will celebrate the Earth Hour on March 30th between 20:30 and 21:30. The activity will meet people from all the municipalities at the access stairs of the Government Building in Mendoza and at a park in Godoy Cruz. Some special performances are planned for this hour. On the day of the anniversary of the 1919 eclipse, on May 29th, the Einstein School “Escuela del Magisterio” depending on the Universidad Nacional de Cuyo, will perform an open day with a Fair of Sciences, in which all the courses (students between 11 and 18) will exhibit their special projects on Sciences, with a special activity about the eclipses and the Theory of General Relativity. Teacher training to contribute to the deepening and resignification of the implementation of the Provincial Curricular Designs of Primary and Secondary Education. Various teaching proposals related to astronomical themes are addressed, particularly eclipses and the potential of their teaching, in consideration of the total solar eclipse that will be visible in Argentina on July 2, 2019. The possibilities offered by the planetarium are exploited belonging to the Astronomical Observatory, and from a workshop format teachers perform various observational activities and construction of simple instruments. The eclipse will be observed at the exit of the Moon and we will share images of the Apollo missions, some models and illustrative material to explain the phenomena and the adventure that were the Apollo missions, as well as all the explanations and answers to the questions. Le celebrazioni IAU100 consisteranno in attività coordinate a livello nazionale, regionale e internazionale. Le attività saranno pianificate in modo che le persone di tutte le età e di tutte le provenienze possano ottenere un apprezzamento per il ruolo centrale dell’astronomia per l’educazione, lo sviluppo, la sensibilizzazione e la diplomazia. Chiunque può inviare un evento relativo all’astronomia che si allinea agli Obiettivi IAU100 . Unisciti a noi per festeggiare un secolo di entusiasmanti scoperte astronomiche inviando qui il tuo evento . Intervista di Ingrid Muccitelli e Luca Rosini andata in onda domenica 14 aprile 2019. In studio Umberto Guidoni e Valerio Rossi Albertini. Video ripreso, con l’autorizzazione degli autori, dal canale Relastro @ ITP – Goethe University, Frankfurt. Per spegnere le sue prime cento candeline l’Unione astronomica mondiale è tornata al Palazzo delle Accademie di Bruxelles, lo stesso posto dove nacque ufficialmente nel 1919. Alla cerimonia, intitolata “100 anni sotto lo stesso cielo”, era presente anche la nostra inviata Rossella Spiga. Jorge Rivero, coordinatore delle celebrazioni per il 100° anniversario della Iau: «Quello che vorremmo celebrare non sono solamente i 100 anni dell’Unione astronomica internazionale ma quello che per noi è più importante: cento anni di scoperte astronomiche, il potenziale dell’astronomia per lo sviluppo culturale ed economico, per la diplomazia, e in particolar modo per l’istruzione. Per noi è stata veramente una scusa per celebrare l’astronomia e coinvolgere tutto il mondo a festeggiare con noi lungo tutto l’anno. Abbiamo già eventi programmati in più di cento nazioni, organizzati dal basso da migliaia di persone che non sono direttamente collegate alla Iau, e siamo molto felici che questo accada». Cosa possiamo aspettarci nel prossimo futuro per la ricerca astronomica? Intervista di Serena Bortone andata in onda nella puntata dell’11 aprile 2019.